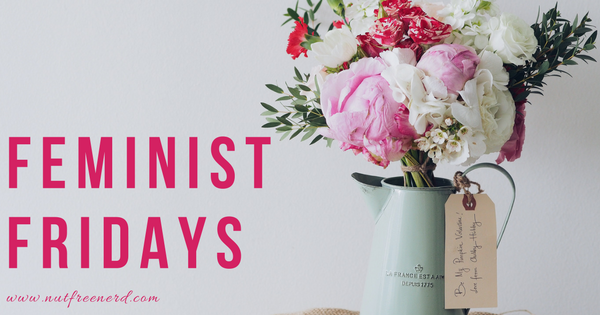 This week’s Feminist Fridays feature edges into a topic that has the potential to be very controversial and divisive: politics. As I mentioned in my nonfiction TBR list for 2018, it was a goal of mine to read Hillary Clinton’s recent memoir What Happened, published on September 12, 2017. Well, consider this goal officially accomplished! Today I’d like to explore some of the ideas Hillary discusses in her book as well as the role of women in politics and leadership positions in general. However, before going further I’d like to say that this post does not revolve around where you fall on the political spectrum. I’m tackling these tough questions from the perspective of a woman rather than the view of a Democrat, Republic, etc. Personally, I feel as though gender inequality is an issue we should all be talking about regardless of our political views. For the purpose of this post, I’d like to focus on Hillary’s discussion of experiences she’s had as a woman in politics and leadership positions in general. She wasn’t taken series as a woman attorney in the courtroom. She’s treated differently from male politicians, interrogated with different questions and scrutinized much more harshly for her appearances and tone of voice. She’s been criticized for her age when male counterparts are viewed as wise, mature, and experienced at the same age or older. The list goes on and on and on. The specific example that surprised me the most was how people blamed her for not taking her husband’s last name. Apparently when her husband and former president Bill Clinton failed to be reelected as governor of Arkansas, some people said that it was because Hillary went as “Hillary Rodham” instead of “Hillary Clinton,” suggesting that she was not dedicated to her husband nor his career. This fascinating Washington Post article titled “The complicated history behind Hillary Clinton’s evolving name” explains that even though there was likely no connection whatsoever between her name and the outcome of the election, it certainly impacted how people perceived her in relation to her husband. This was a partial bow to tradition — but also, in this sense, it was a political play. It was an attempt to disrupt the idea that she was an excessively ambitious woman or disinterested in the traditional role of the state’s first lady. Bill Clinton became governor again. There’s almost no way to say what role Hillary Rodham Clinton’s name change played in that outcome. She never left her law firm (note: The Rose Law firm wasn’t able to tell us by deadline if and when Rodham became Rodham Clinton in that office). But, at the very least, maybe a few more culturally conservative Arkansas voters viewed her as caring and emotionally connected to her husband. Personally, I think this is absurd. Why does it matter what her last name is? What possible relation could her last name have to her love, loyalty, or devotion to her husband? (After what Bill Clinton put his wife through *cough* adultery *cough* I think he should have been the one to change his last name.) Women should have the freedom to keep their last name if they choose. This should not just be a legal freedom as it is now but a cultural freedom as well. We need to rid our society of the negative stigma attached to women who keep their last names, and this is a perfect example of why. 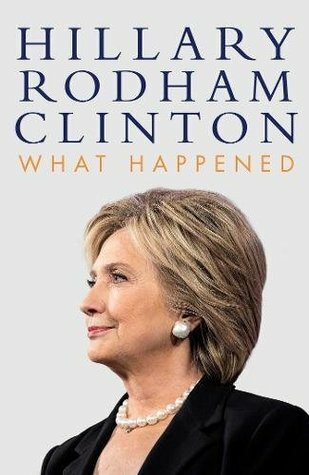 I immensely enjoyed listening to the audio book of What Happened, which is narrated by Hillary herself. Not only does this book feel honest, authentic, genuine, and real, but it also humanizes Hillary in a way that the media has refused to do in recent years. What Happened is well written, carefully crafted, meticulously researched, and has clearly been created from a heartfelt place of insightfulness and reflection. I would recommend this book to anyone interested in current political events in the United States, women in politics, feminism in general, or who simply what’s another perspective on what in the world happened in the 2016 presidential election. What are your thoughts on What Happened? How do you think feminist does or should fit into politics? Let me know in the comments section below! I still need to read this! The part about changing your last name is particularly interesting to me. None of the women in my family (of my parents’ generation) changed their last names. I think it’s great, and I’ve always assumed I won’t change mine, either. However, the first of my cousins to get married changed her name. All of my friends who’ve gotten married so far have also changed their names, and there’s a part of me that feels almost disappointed by it. That’s so interesting! Just out of curiosity, are the children in your family usually given their mom or dad’s last name? I still need to read this book. The waitlist for it is huge. I didn’t know the story behind her slowly evolving last name, so that’s interesting. Great review! I really need to get around to this one. The stuff about her last name is just ridiculous. I remember hearing her say once that part of the reason she changed it was it reached a point where she realised everybody else cared about it much more than she did. So true! I have no idea why people make such a big deal about women keeping their last names…. why isn’t the same standard applied to men?! Great post! I haven’t read this one yet, but I did buy it when it came out. this is a really fascinating review! i’d read some reviews of this when it first came out that portrayed the book as largely an attempt for Clinton to push the blame off of herself, but i should know better than to trust news outlets at large when it comes to her portrayal in the media. maybe i’ll have to pick it up and see for myself! I definitely see where people are coming from when they say that this is an attempt for Hilary to shift the blame away from herself, and I think that argument has merit to a certain extent. However, I don’t think that’s the main goal of the book and certainly wouldn’t discount it because of that. I think it’s definitely worth a read! Thank you for your thoughtful and well-written review! I have this on audiobook and have listened to part of it, but needed to take a break before finishing it. My emotions over the election are still really raw and having Hilary’s voice in my ears was too heartbreaking at the time. Hopefully I can give it another listen soon! Listening to this was definitely an emotional experience! There are certain parts where my eyes watered up. The fact that she narrates this makes it so much more intense! This is an excellent review, wow! I’m surprised at how few people I follow read and reviewed this, but this makes up for the lack of reviews.